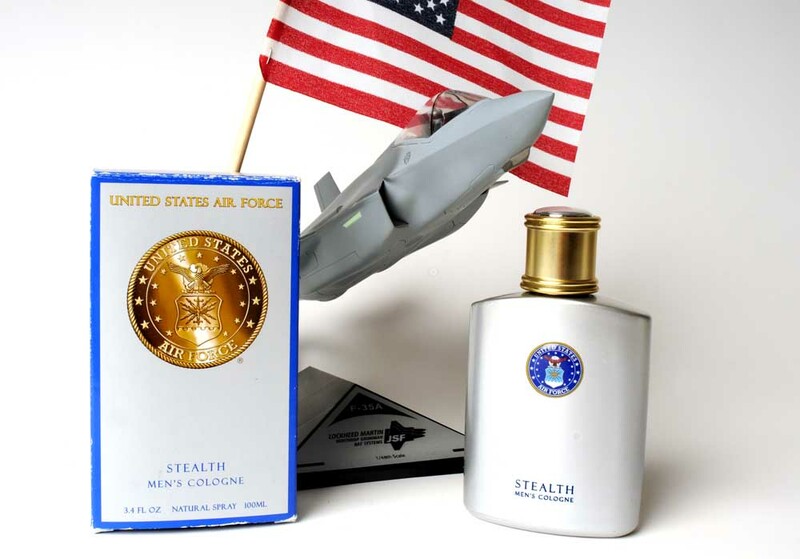 That’s right, if you’re looking to leverage a fresh scent with a potential mate, the Air Force has a product for you. It’s all the raw masculinity of an F-15E Strike Eagle in a bottle. Stealth makes sure your business processes are always optimized, even in a tough budget climate because you can pick it up online for around $20. But wait, there’s more! You can air your joint credentials at your next command picnic by wearing Devil Dog, the Marine Corps’ cologne that we here at the Gannett Government Media have all decided is quite, uh, pungent. Or you can wear Patton, the official scent of the Army. Because, as my colleague Joe Gould at Army Times points out, who wouldn’t want to smell like “Old Blood and Guts” himself? I suppose all this begs the question: how did Parfumologie, the company behind the cedar-warm-musk-with-woody-notes scented cologne, get license to use the Air Force logo? Well we did some research here at the Air Force Times Center of Excellence and found out that you too can license an Air Force product. Just click here and to get the ball rolling. But be forewarned, the Air Force is quite discerning when it comes to licensing its image. The elite club of licensees include CuddleMeWarm, “the web’s #1 Korean mink blankets and products,” footedpajamas.com, and of course there is exclusive line of bird feeders from wildlifealllies.com.